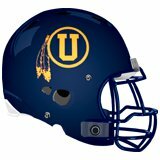 Unionville held off Garnet Valley, Friday night in a hard-fought battle, 35-28. Great job on the video! It was a great atmosphere last night.